Denver, Colorado. December 10, 2013. Mars One has selected Lockheed Martin to develop a mission concept study for its Mars lander spacecraft. The lander will be based on the successful 2007 NASA Phoenix spacecraft and will be a technology demonstrator. Slated for a 2018 launch, the mission will provide proof of concept for some of the technologies that are important for a permanent human settlement on Mars – the ultimate goal of the non-profit Mars One Foundation. For the Phoenix mission, the company designed, built, tested and operated the lander for NASA. The Mars One lander study will evaluate the applicability of this design for the Mars One mission and identify any modifications that are necessary to meet their requirements. In addition, program cost and schedule estimates will be formulated to guide the execution of the Mars One unmanned mission to Mars. In addition to technology demonstration experiments, Mars One plans for the lander to also carry an experiment from a worldwide university challenge and items from several Science, Technology, Engineering and Math (STEM) challenge winners. 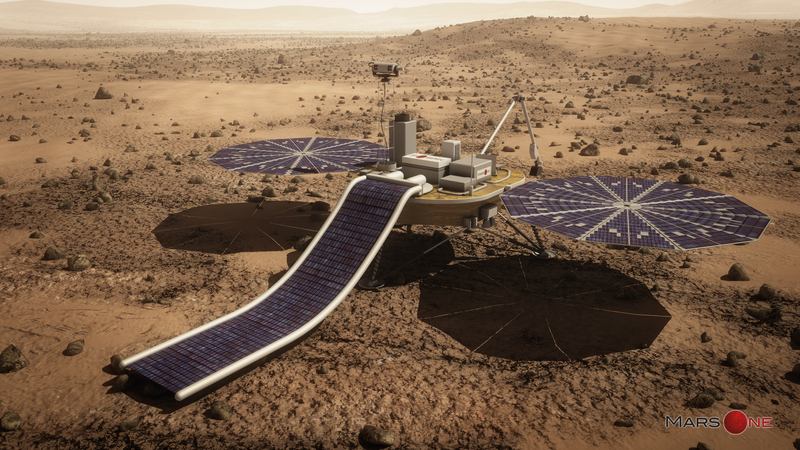 Mars One also selected Surrey Satellite Technology Ltd. (SSTL) to develop a mission concept study for a Mars communications orbiter that will be used in conjunction with the robotic lander. The satellite will be a high-bandwidth communications system in Mars orbit and will be used to relay the data from the surface of Mars to Earth. The orbiter will be in a Mars synchronous orbit to ensure the 2018 lander and future settlement can always communicate with it.